The Bitcoin dilemma: many perceive Bitcoin as the largest held crypto currency in the WORLD and, that it’s a bubble. Two facts: 1. If there are 16.9 million bitcoin that means only 16.9 million people can own at least 1 bitcoin each, 2. for bitcoin it to be a bubble a large population would have to own it. Right now as of last quarter 2017 there are 21.5 million Bitcoin wallets. Divide that with the number of people on the planet — 7.6 Billion, and that equates to .00276% of the population own a Wallet. Most own several wallets, so I say cut that in half, and that means .00138% of the population are bitcoin wallet holders. Fortune Magazine says that a study has been done and 4 million coins are lost forever, thats 23.5% of the entire bitcoin amount. The Business Insider says founder Satochi Nakamoto owns as much as 1 Million Bitcoin another 6%. Now, 3.2 million are owned by the top 100 wallets; that’s another 19%. The next top 200 wallets have another 2 million bitcoin — 12%, and another 300 wallets own 2 million, another 12%. So that leaves the hard facts that 4.7 million Bitcoin have potential of circulation. As stated in the article and using Bitinfocharts, the top 500 wallets that own Bitcoin account for 50% meaning that out of the 21.5 million wallet holders in the WORLD, they are currently fighting over a little under 5 million Bitcoin. That means all the ICO’s and Miners along with you all believe they can become Bitcoin Millionaires. Next let’s take the mining industry: “In fact, taking into account bitcoin’s move lower to about $7,800 within the past week, miners in 41 of the 115 countries examined would probably lose money mining bitcoin” writes Sean Williams with fool.com. 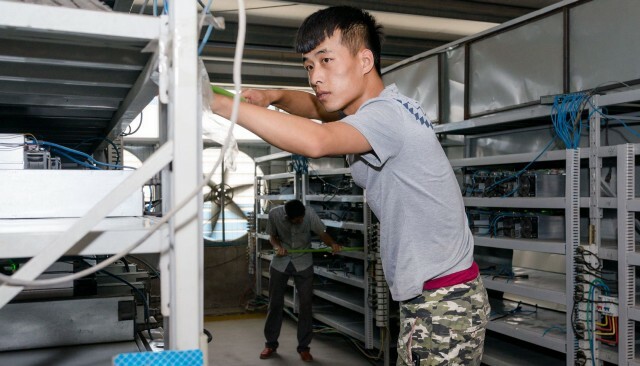 When this article was written there where 176K Bitcoin transactions in a 24 hour Period at the average cost of $1.28; that equates into $225K in fees collected for doing the mining. Sean also states “ given that bitcoin has shed more than 55% of its value since nearing $20,000 per coin in December, the margin to mine bitcoin has tumbled from as much as $15,000 per coin to less than $4,000 per coin in the U.S.” Over the last 30 days the average transactions per block was 1300 more or less, that equates to 135 blocks created. So, where is the profit when the cost out weigh the expense? Calculated using coinwarz.com it would take a single user 18,194 days to generate one block mining bitcoin and 1455 days to generate 1 Bitcoin worth today $8500US. If you mined at the cost of .10 Kwh, which is very low, you would be ($250) in the negative for the year. So who’s making all the money? Bitcoin Millionaire Grant Sabatier says “don’t buy bitcoin”. Have you ever gone to instagram and seen all the Bitcoin people calling themselves Whales and showing pictures of Rolex watches, stacks of cash, even million dollar sports cars with hashtag #hodl ? I have! 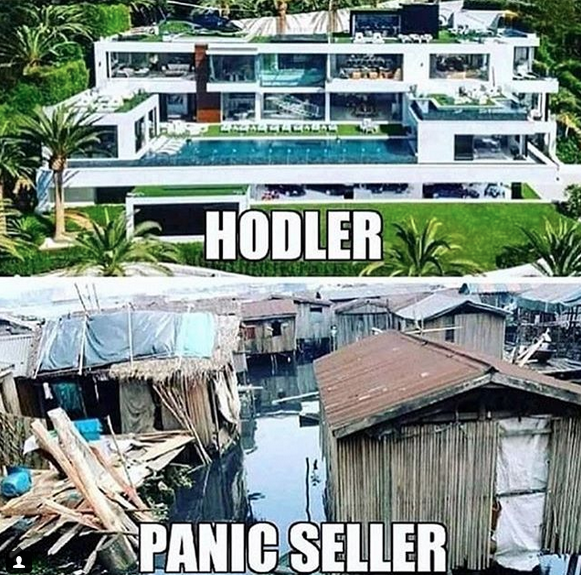 I ask myself, how do they hold “#hodl” and have all these possessions? My answer would be that they are “BIG FAT LIARS”, and they have neither. Let’s face it, you can’t hold “#hodl” and have at the same time, it’s impossible. The fact is that no one is getting rich. Why? Because no one is converting into usable fiat and the top 1000 wallets with the top 50% of bitcoin only have 1 transaction and that’s incoming and not outgoing. The wealth is all electronic and long term for most. Gambling, I would say! But is there a way to make money? Fixing the problem, I believe we need to focus our efforts cutting out the rewarded miners who create higher cost computing and energy problems for everyone else and with it the potential to give all of us across the board the increased energy bills based on supply and demand. What can’t enterprise computing do that miners can? The answer is nothing! It’s actually more secure with enterprise computing and with less energy costs. Let’s just eliminate proof of stake and proof of work and use an algorithm and consensus that will create fixed transnational fees. Creating Reward, The only way that you can create wealth with crypto currency is to create something that is backed by “Gold”, that has little or no volatility and is highly circulated with fixed transactional cost. If you could lower cost by enterprise computing whilst using a consensus that is hosted by those enterprise servers you could create a fixed transactional cost that would cover the overhead expenses. The money left over based on high usage crypto-currency in the day to day platform could it fact create high demand, while simultaneously rewarding its clients like any credit card system rewards its users. Creating a system that rewards it’s clients could actually be the key to becoming crypto rich without risk.